How are you celebrating and/or preparing your kids? saving water, conserving electricity and not wasting paper. (aside from throwing trash in the garbage bin and not on the floor). and talked about ways the Lil Divas could help the earth. that little hands & little things can add up to BIG things! - this doesn't have to be perfect which is the best part. 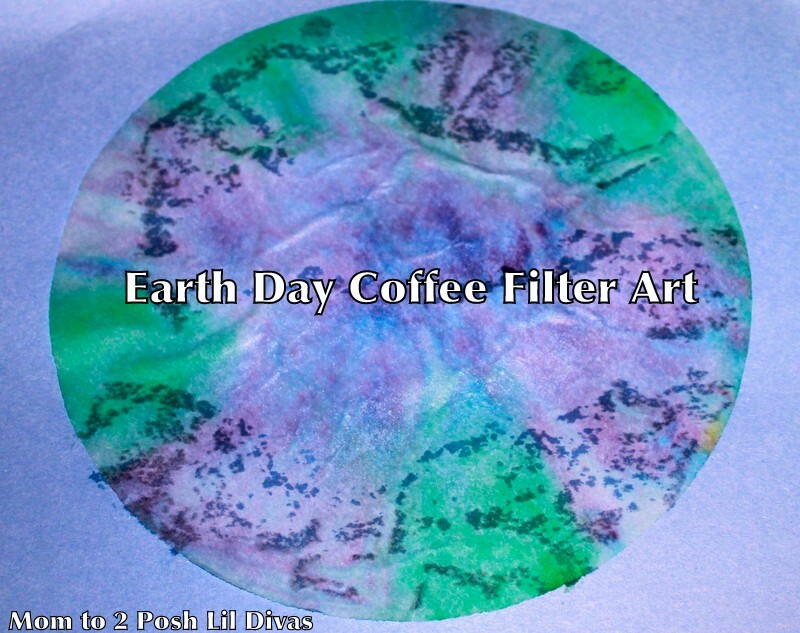 and spray onto the coffee filter to blend the colors. I used a tray to keep the mess contained. & trace handprint at fold (see below). this will give you a heart in the middle of the handprints. 5. Glue coffee filter onto blue construction paper. 6. Glue handprint on top of earth & add words I and earth onto hands. and how they can help it. 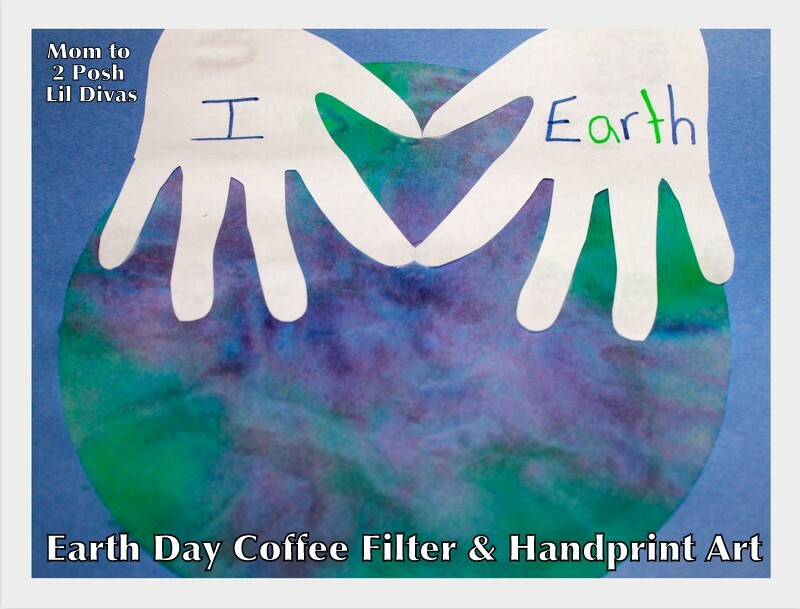 Check out our other Earth Day activities! Wow! I love this idea! It looks great! I love this idea! I love how it turned out. Gotta get a extra spray bottle while I am out and about today. This is such an awesome idea! LOVE it!! You are so creative, Bern! Love this! Don't coffee filters make such a fantastic canvas? 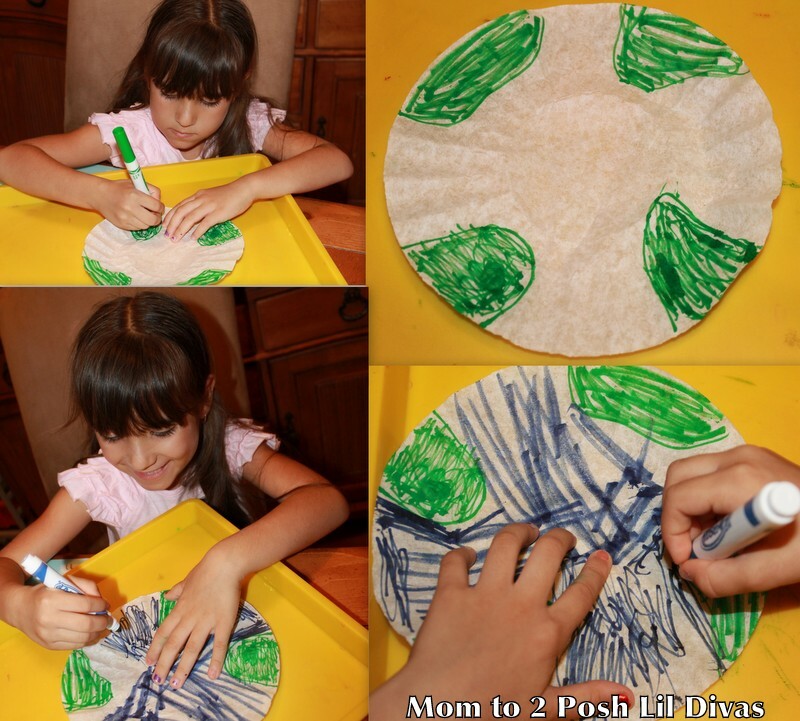 This just might be our playschool Earth Day craft. Thanks!! 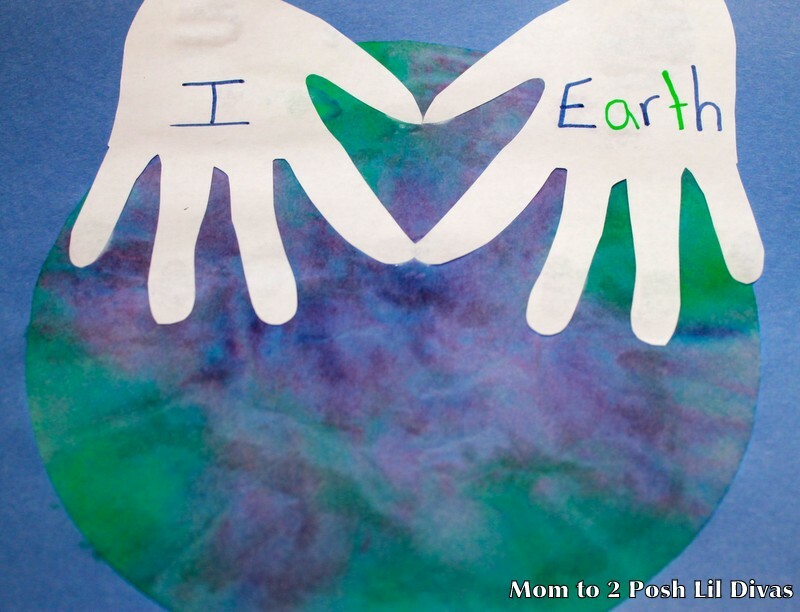 I love how you made the hands into a heart! So cool! Wow, this is a terrific idea on so many levels. Great craft to share with Afterschool. By the way, we read this book this week too. Love! Just did this with my 2 year old Noah and it was fun! !